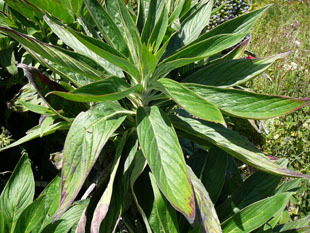 garden plant, but has been called a garden thug. Southwest and in a few other sheltered places. become naturalised in sheltered lanes and on waste ground. it has the potential to become invasive. 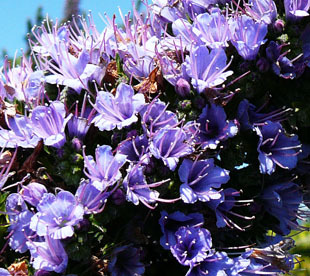 In some parts of the world it is classed as an invasive weed. 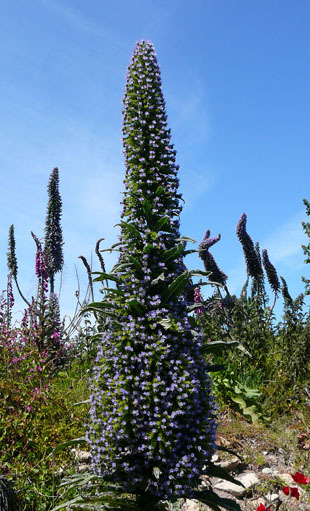 Giant Viper's-bugloss is a biennial herb growing up to 2.5m. 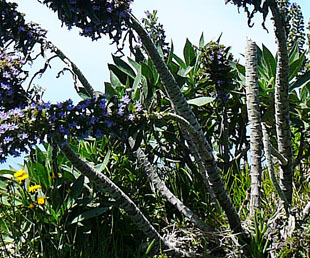 Flowers are produced en masse on large spikes. 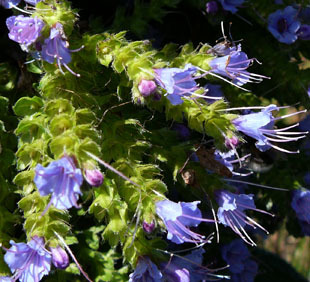 Individually, they are similar to those of Viper’s-bugloss (June).